We collect and grow seedlings of plants, trees and shrubs indigenous to BC, Alberta and other regions throughout Canada for use in replanting and reclamation services. Drawing upon experience gained from the successful management of Tipi Mountian Native Plants, Ltd. KES assisted industry and first nations partners in the Peace region in business development and construction of Twin Sisters Native Plant Nursery. 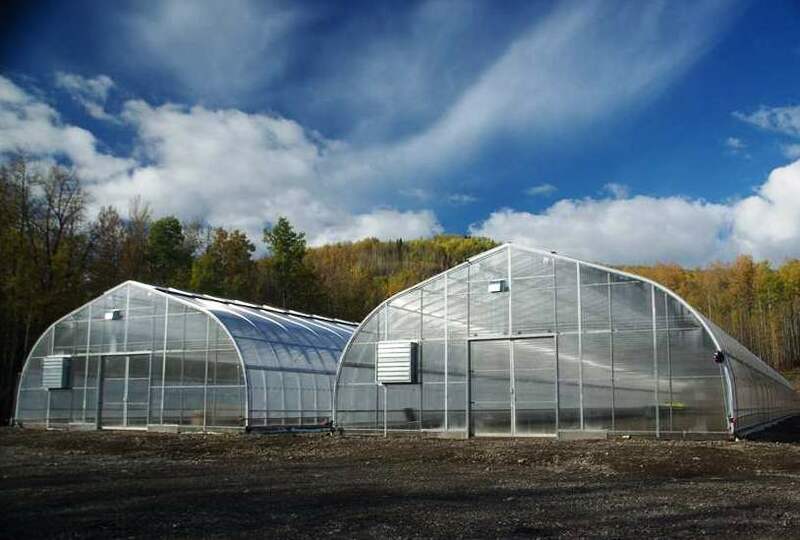 The facility, located in Moberley Lake, BC, is the first greenhouse and nursery to focus on the propagation of native plant species for use in reclamation. COURTESY: Keefer Ecological Services Ltd.
West Moberly First Nations and Saulteau First Nations with support from Walter Energy Inc.